Like many wine lovers, you’re probably familiar with advanced-level connoisseurs who buy wine now and drink them years or even decades into the future. You might even be thinking about becoming one of these aged wine collectors! 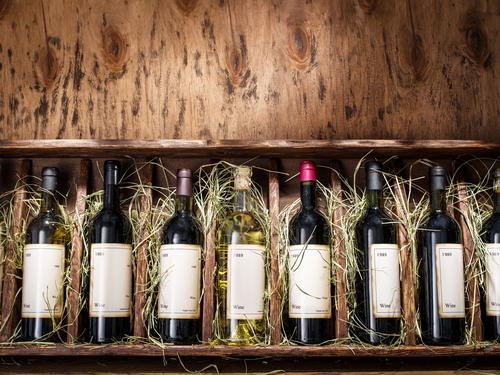 Before you take the plunge, though, you need to learn more about wine collecting and storing. This guide will help you get started. Why should you collect and store wine? Connoisseurs agree that aged wine smells and tastes better. It also gets more expensive; if properly aged, a bottle that you buy today can be worth several times more in the future. But it doesn’t stop there. For many people, the joy in wine collecting comes from the actual aging process. It will certainly challenge your patience, but the wait is worth it when you actually get to open and taste the aged wine that you’ve been storing. An added bonus: you’ll have the honor of drinking something that was made a long time ago and has been a part of history. Of course, before storing wine for years, make sure to that it is meant to be aged. Many vintages have lower quality and should therefore be consumed while they’re young. The best vintages, however, get better with age and are definitely worth the wait. Properly aged wine changes color as years go by. In young wines, deeper hues are better since they indicate richer concentrations of the raw materials. In aged wines, however, the opposite is true: properly stored bottles get lighter as years go by. Dark red or purple wines can turn into ruby and eventually into orange when aged for decades. Another thing you’ll notice is the change in aroma. Young wines are known for their fruity scents, which is what makes them popular among those new to wines. However, experienced collectors are searching for something different: they like the earthy notes associated with aged wines, which include hints of smoke, cedar wood, and tobacco. These heavier, more complex scents indicate that the wine has gone through proper storage and aging. Of course, let’s not forget the texture. When you drink young wines, you’ve probably noted their zesty, acidic tang, which is a good indicator of freshness. It’s different with aged wines, though; instead of a sharp “zest”, you’ll be greeted with a smooth texture that feels silky and velvety in your mouth. This smoothness, coupled with the wine’s earthy notes, pave the way to a tantalizing experience that fires up all of your senses. Even if you buy the most expensive bottle from the best vintage, it would still be useless if you simply let it sit beside a window. To ensure your wine properly ages, you’ll want to practice proper storage techniques, such as keeping the bottles away from light (both natural and artificial sources) and maintaining the appropriate levels of temperature and humidity. 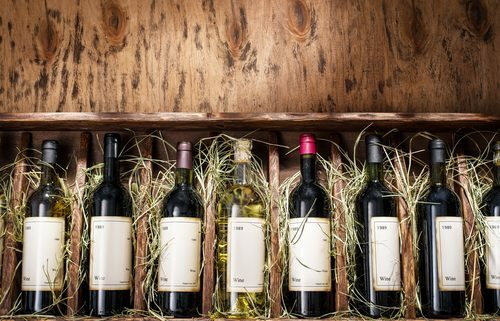 You can go the DIY way by building a wine cellar at home. But, if you want a simple, fuss-free solution, the best thing to do is to use the services of a wine storage facility like Chateau 55. Through our modern methods and state-of-the-art equipment, we can keep your wines properly stored. Keeping your wine stored and aged correctly will ensure you enjoy full flavor, aroma, and texture at the right time. Wine Storage: The Best Practices You Should Know Does Size And Shape Matter When It Comes To Your Wine Bottles?